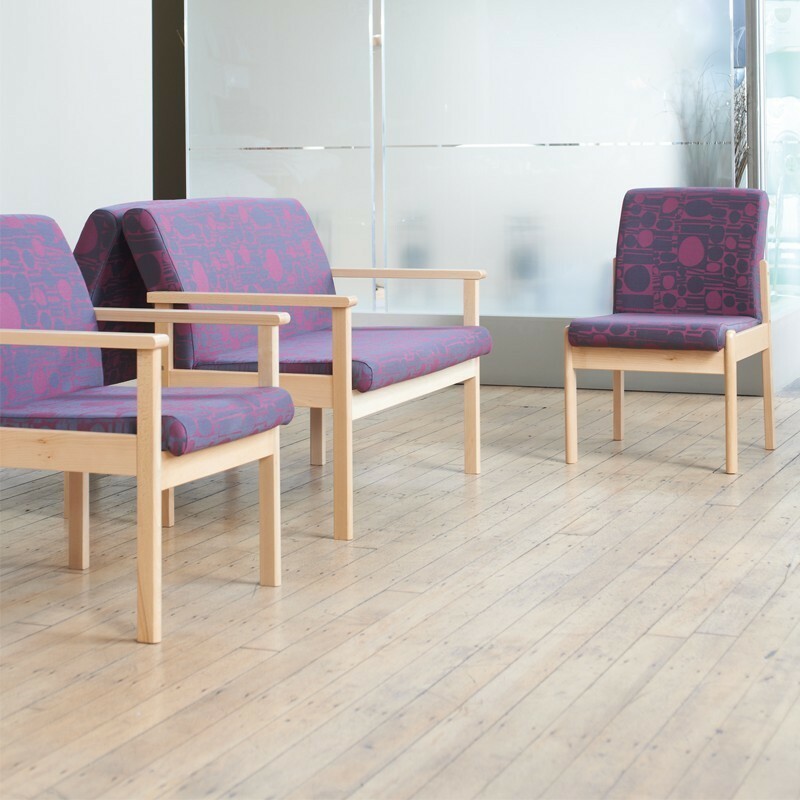 The Futura Reception Seating range of furniture includes 1 and 2 seater armchairs. 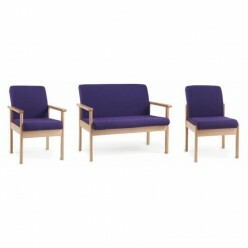 Upholstered in blue fabric and built with a solid beech wood frame. 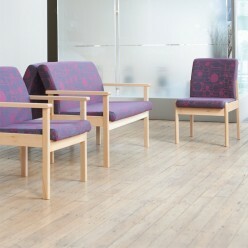 It has a soft, upholstered seat and backrest made from durable hard wearing fabric.